How To Make Family Fitness More Fun? The rate of obesity continues to grow at an alarming rate among the youngsters due to the poor eating habits and inactivity. The real secret to reinforce positivity and improve the living styles for yourself and your family is to make eating and exercising more entertaining. You have a chance to ask a coach for tips and advice to add fun and excitement to the fitness for the whole family. 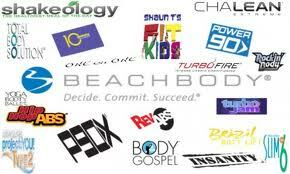 Choose the most interesting Beachbody workouts for all ages such as Hip Hop Abs, Turbo Jam, Shaun T’s Fit Kids Club, Tony & the Kids, Les Mills Combat (initial workouts), Rockin’ Body and the likes. Here are some tips for you to make exercising easy and fitness workouts more fun for you, your partner, and the kids. Competition not only motivates you to do the workouts but also promotes you to step a little further into working out. A little competition can be fun. 5 minutes extra, 10 added reps, or dancing the longest can be the little competitions that can encourage you to do workouts in a more fun way with the family. You do not always have to sweat the workouts in pain. Going all crazy or making it humorous can just be your thing to involve your partner and the kids in working out with you. Adding costumes or mixing up some crazy dancing moves while doing Rockin’ Body workout or Chalene’s program will definitely add enthusiasm. Working is always easier when you select a partner to do the workouts with you. You can start by joining a Beachbody Challenge or make you own accountability group at home or with friends and start the workout together. At home, you can motivate each other to reach new results and learn the techniques through each other. You can also augment your family fitness by setting a goal with the workouts and once that goal is reached, go have fun or treat yourself with something, which you had been wanting for so long. You do not always have to go out and eat. Have a trip to the amusement park, or get your kids something that they had been wanting when they finish off with good results. Reinforcements will add to better living habits. 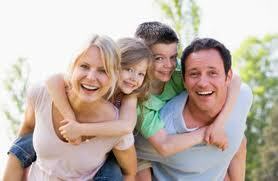 Start with these tips for augmenting your family fitness and End the trend of obesity in a fun way!